The rumours have been swirling around since the middle of the year, but social media site Twitter has gotten itself some Facebook style brand pages. This means that it is now more orientated than ever for business social media and will be the network of choice for social media experts in the coming weeks. 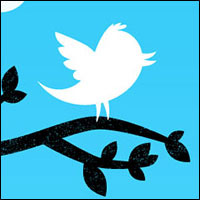 So, what are the pros of Twitter brand pages and will it help business social media campaigns? Twitter introduced the pages with a major redesign and launched a number of big companies pages. These new pages allow companies to customise their logo and headers and make their taglines more prominent. This can bring nothing but benefits to businesses and allows them to create a clearer and more professional looking page. Of course more attractive pages, mean a better impression and results in more followers. This means more clicks, better SEO rankings and all that jazz. Such changes encourage linking of websites to brands Twitter pages and provide new opportunities for visitors to link to you due to these changes. It is also a great way to engage your customer for free. Though Twitter is quite simple. The addition of such pages doesn’t overcomplicate things but merely allows users to continue in the same manner. Though, it does allow social media marketers to customise and manage their pages in a better fashion. Brand awareness will also be impacted by the Twitter pages. The new layout and brand pages solidify brands on Twitter and cement followers. This also allows for users to create more of a buzz around new products and services. The new design is said to let brands separate their @ replies and mentions according to some reports. This will be of significant benefit to companies with large numbers of traffic and allow for clearer and more concise swallowing of information for SEO experts. Twitter brand pages are also a great place for brand enthusiasts to converse and talk via hash tags. This allow brands to sit in on the conversation and take from it what they wish. This can be a great resource for companies. The more followers and the more exposure you can get for your brand the better. Twitter brand pages create a clearer and more concise system for companies to use social media, than the original system, yet don’t infringe on the current manner in which users engage. We are really exited about the new Twitter brand pages, more so than with any of the recent changes to the popular networks. Does anyone have any ideas on other ways this could benefit business. Please let us know via the comments.